“Methuselah lived 900 years,” says the partial lyric in one song. But more recently, the World’s Oldest Man, Masazo Nonaka, who was aged 113, has died overnight. That according to his family, granddaughter Yuko Nonaka, who called the family doctor, who in turn, officially pronounced his death. In April 2018, the Guinness World Records certified Masazo Nonaka, then aged 112 years and 259 days, as being the World’s Oldest Living Man. 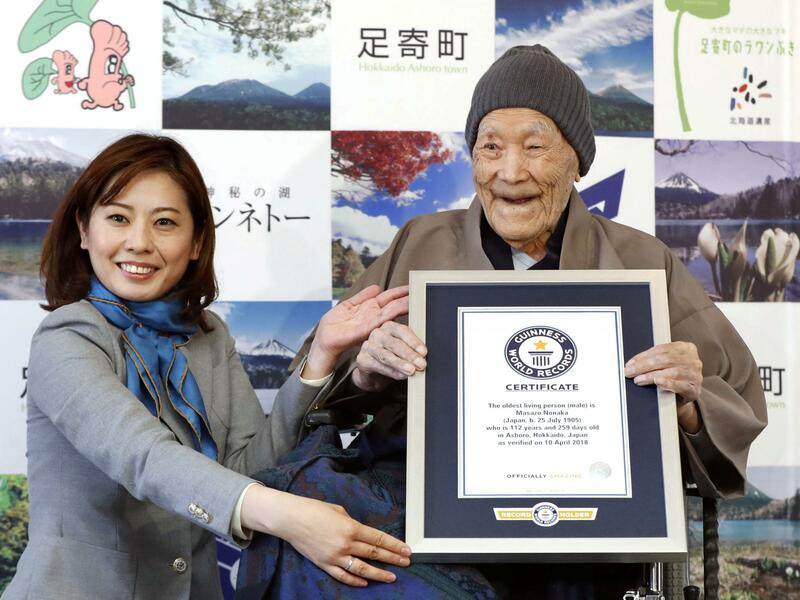 Masazo Nonaka was certified by Guinness World Records as the Oldest Living Man April 2018.